The main reason why charting is important is to facilitate patient-centered care. 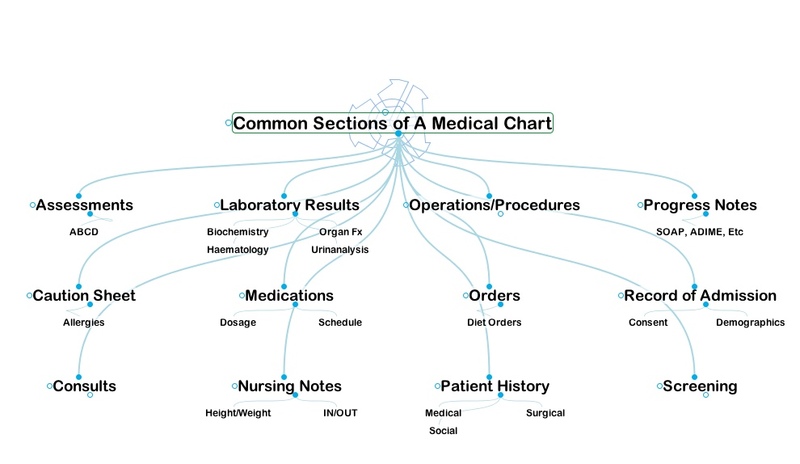 A chart is a compiled record of all medical treatment that a patient has received since admission. Every patient will have their own chart. It is also a tool for evaluating the efficacy of medical treatment and the progression of patient care. From a health care standpoint, charts provide a record of patient care for which can be continually evaluated for quality improvement. A chart also serves in economic purposes since it is used to manage resources within the institution and funding. Charts maintain a record that the highest standard of care was given to the patient. It provides evidence that healthcare workers did their best work for each patient. Charts are also audited for care quality improvement. Health institutions are legally required to evaluate, monitor and improve health care practices. From a legal standpoint, if you didn't chart it, then you didn't do it. Chart notes are important tools to communicate the care plan and changes in patient status to other members of the healthcare team. Doctors, specialists, nurses, speech-language pathologists, occupational therapists, radiologists and many more professionals will write in the chart. Charting can play a role in communicating the dietitian's job as part of the healthcare team. What are the sections of a chart? This handout contains the information from the Videoscribe, if you would like to print it out and bring it with you to your internship placements. Preceptors will have different charting styles. It is important to to be adaptable to these differences. You can learn from these these different approaches in order to develop a charting method that works for you. "The biggest learning curve for myself was definitely the fact that every preceptor had their own charting method. Some preceptors expected you to include all information that you would typically chart, even if it doesn't impact the patient at the time being. Other preceptors may just ask you to chart what is relevant at that exact moment...You have to be adaptive and adjust to your preceptor's specific style. It might take a couple assessments/followups to get used to it, but you guys should have no issues adjusting." "In order to adapt, I looked at my preceptors' chart notes in the first couple of days of the placement in order to get an idea of how they format their chart notes, what sort of data they include and to what level of detail. Then I charted according to those observations. It required conscious effort to adapt to each preceptors' charting style. I found that it helped to ask questions about my preceptors' charting style in the beginning. While they were editing my chart notes, I made sure to understand why they were editing certain things and what I could improve on." Effective charting takes practice. When you’re starting out, remember to keep your notes direct, concise, and well organized. "For the first nutrition care module I wrote draft notes, sought feedback and then wrote a final copy in the chart. Slowly I started to just write ghost notes for topics to mention in the chart notes and then just wrote chart notes with no draft. Occasional errors will happen, and that is fine. You can always add addendum's if you forget information as well." "Keeping a list of key phrases is also helpful because there are some things you will say over and over again and there’s no need to reinvent the wheel! This way you have phrases you’ve already made sure are clear and concise ready to use." "If you're unsure about what you should chart, it's best to include all nutritionally relevant information." "[Interns struggle with] being concise, clear and organized. Practice, practice, practice and read preceptor notes to get an idea of how things may be best worded to communicate the message. Discuss with each preceptor to confirm their expectations; review/read the preceptor notes to get an idea of how they are documenting; be adaptable, flexible and open to feedback." "One of the big challenges I see is to be concise. I think a strategy to help overcome this would be to think about what information is useful to other health care team members. I have suggested to keep the question of "what information do I need to share" in mind as interns are charting. For example, some information like the details of a diet history may be very useful and interesting to us, but for the health care team they may just want to know whether or not we think the individual is meeting their nutritional requirements." Charting styles vary within each health authority, they also vary from institution to institution. Have a look at our chart to see what charting style each health authority predominantly uses. It is important to note that many health authorities have started or plan to switch to electronic charting.